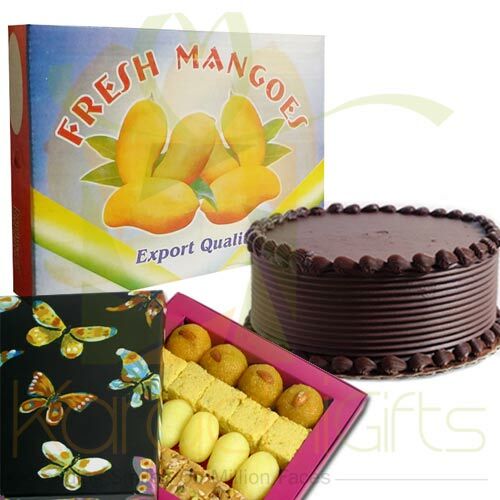 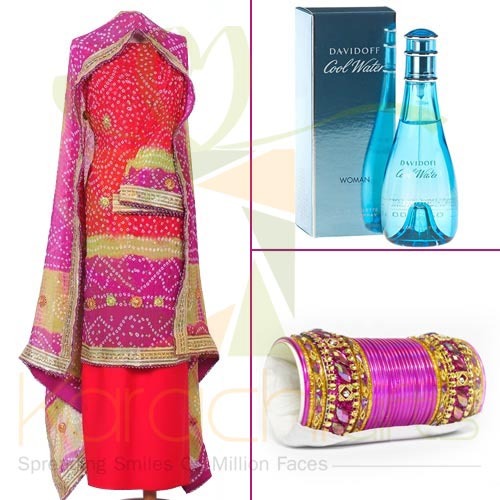 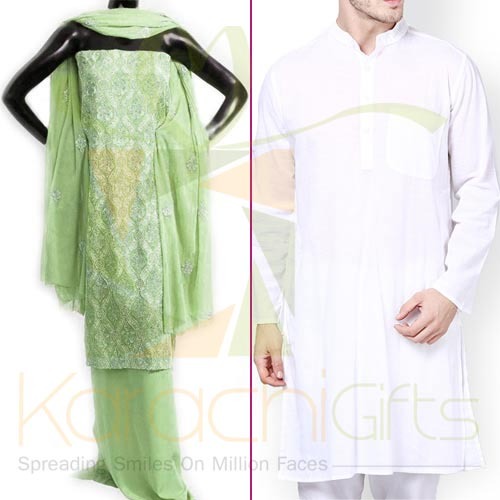 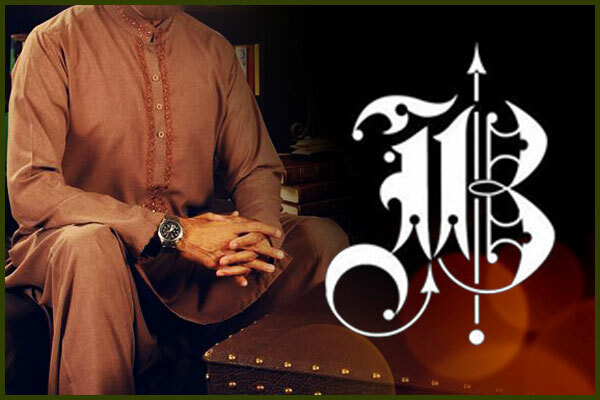 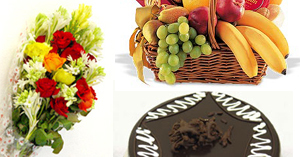 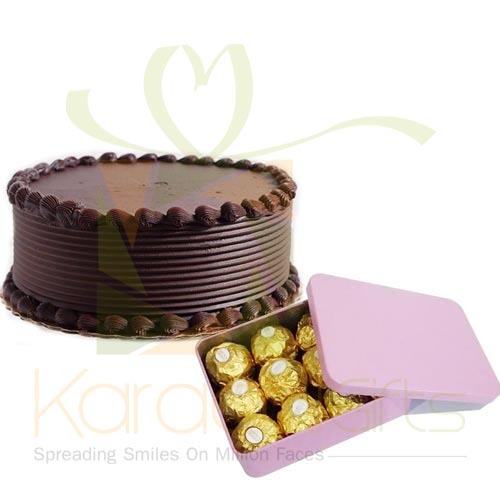 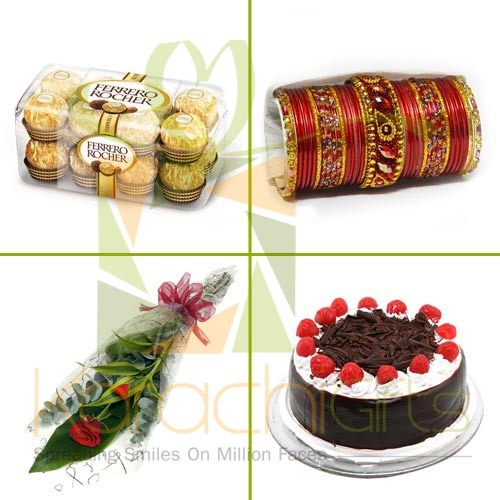 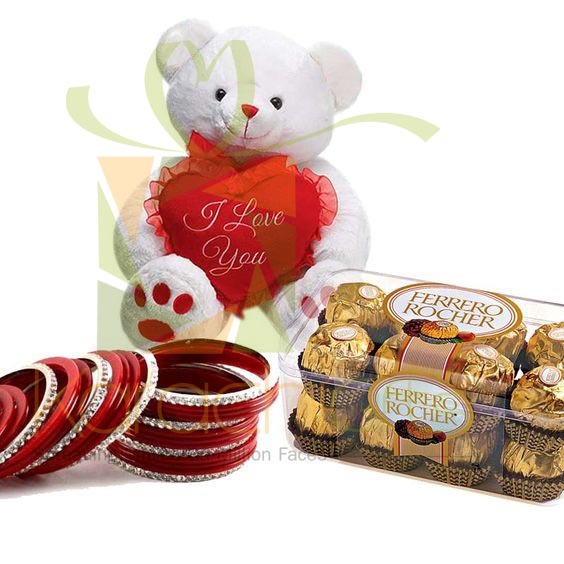 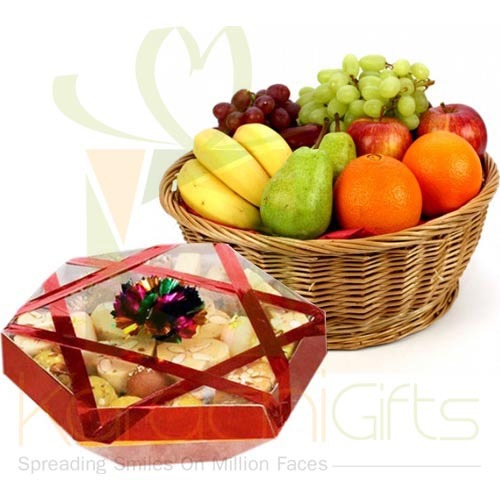 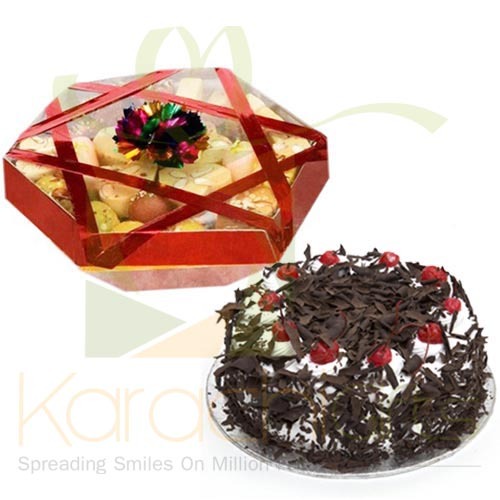 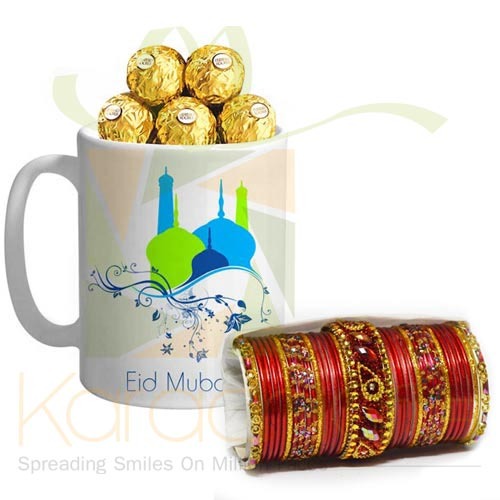 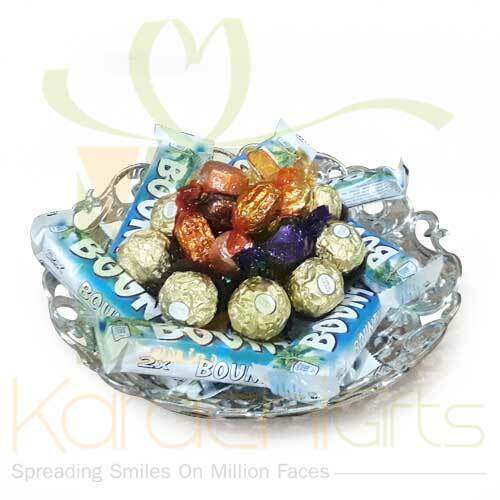 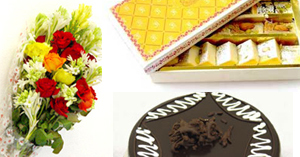 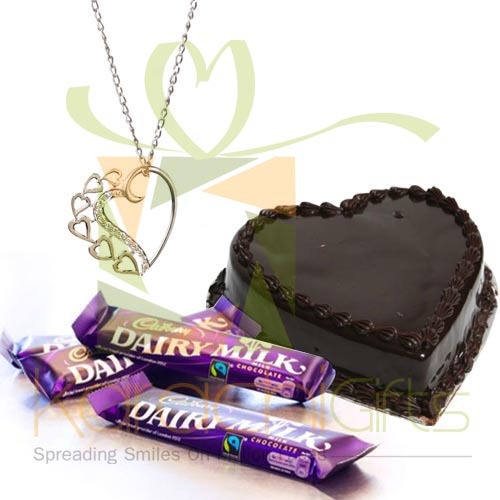 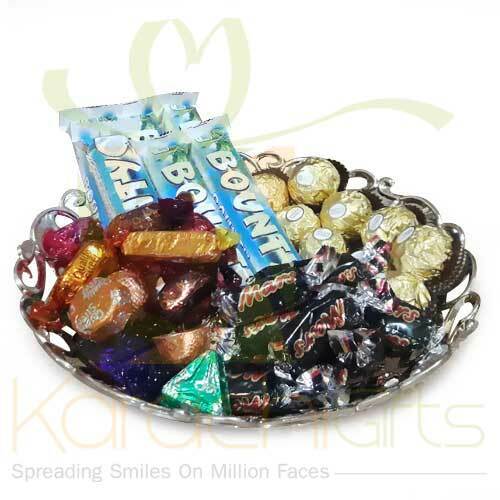 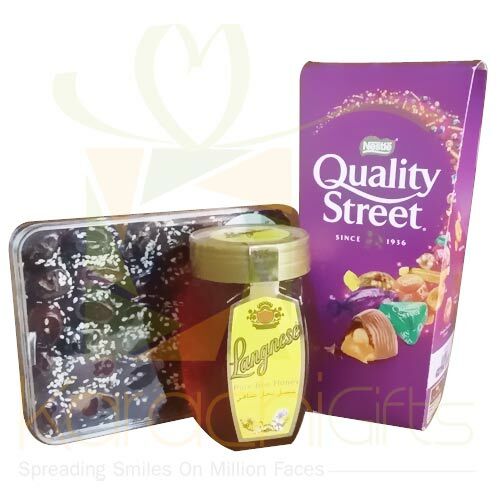 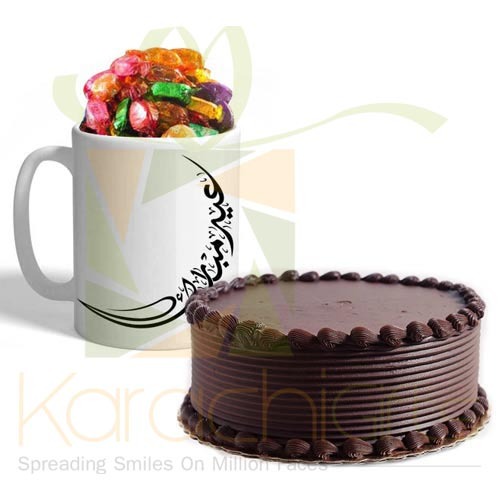 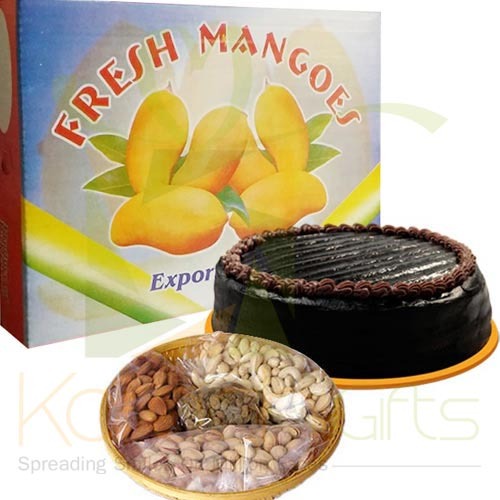 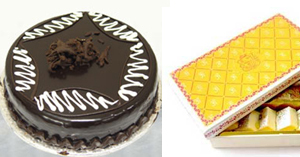 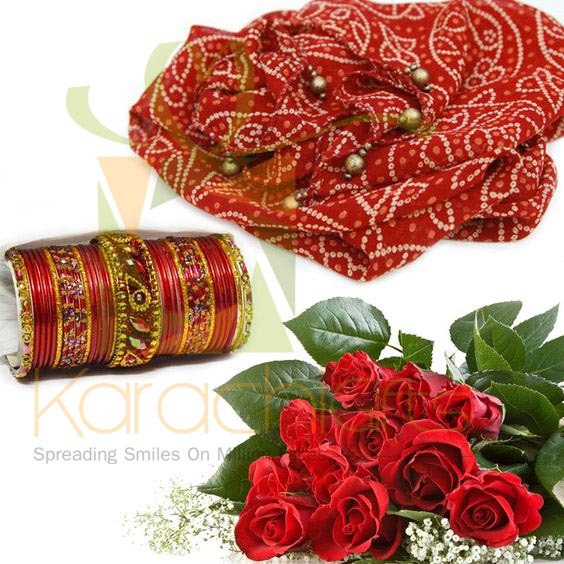 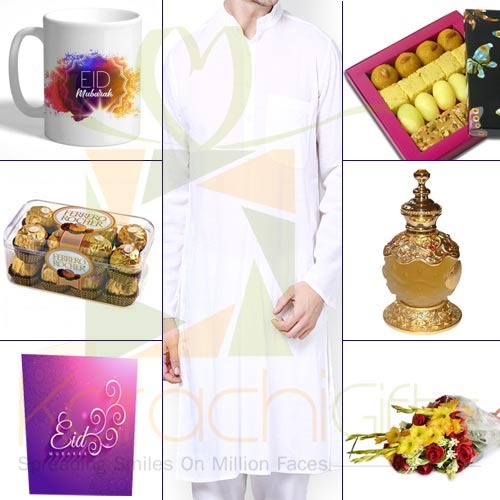 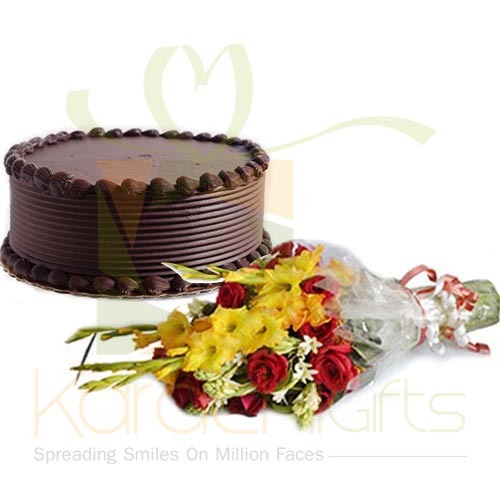 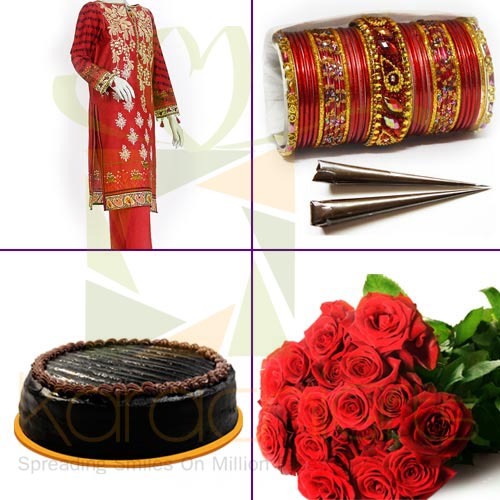 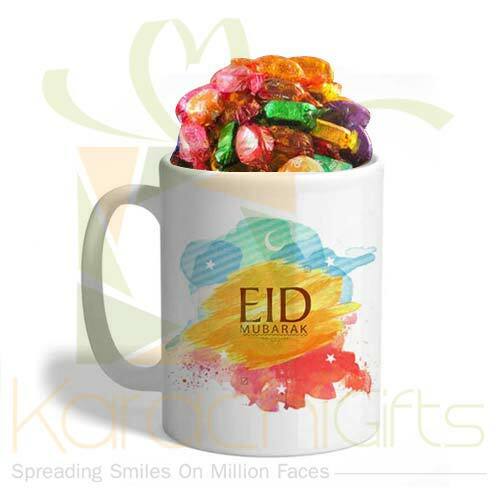 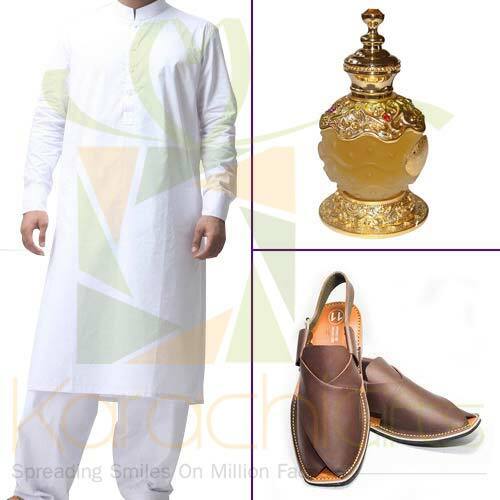 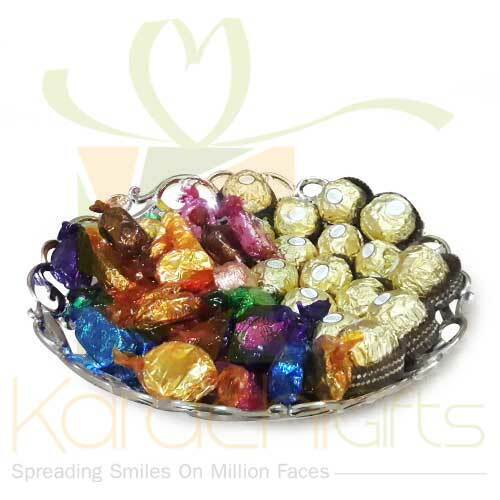 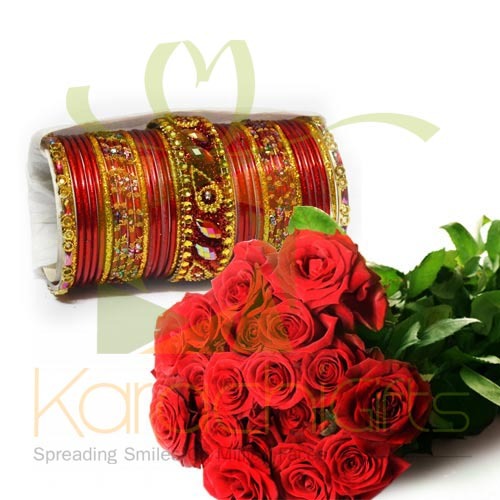 Karachi Gifts is offering all gift items for local, religious and universal occasions. 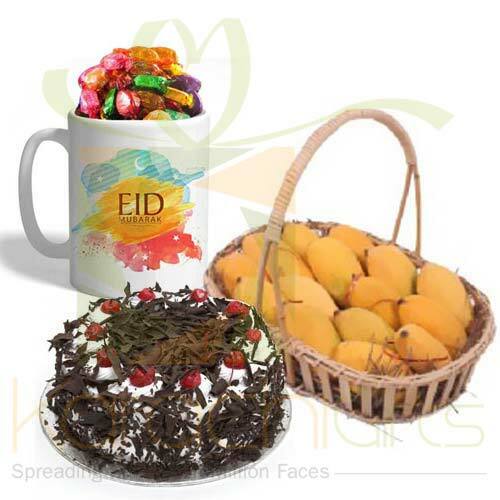 Eid is a great Islamic festival with a great importance and we jubilate on this auspicious day. 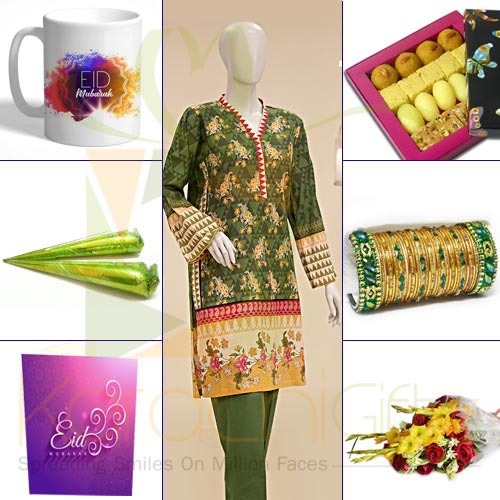 Whether it is Eid ul Fitr or Eid ul Azha there is celebration and new clothes, sweets, food and parties all around. 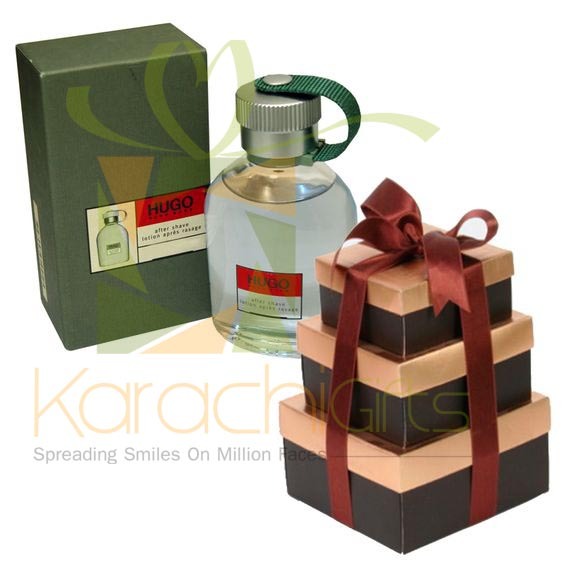 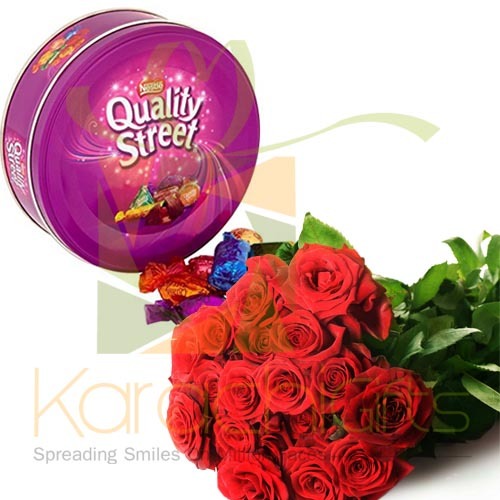 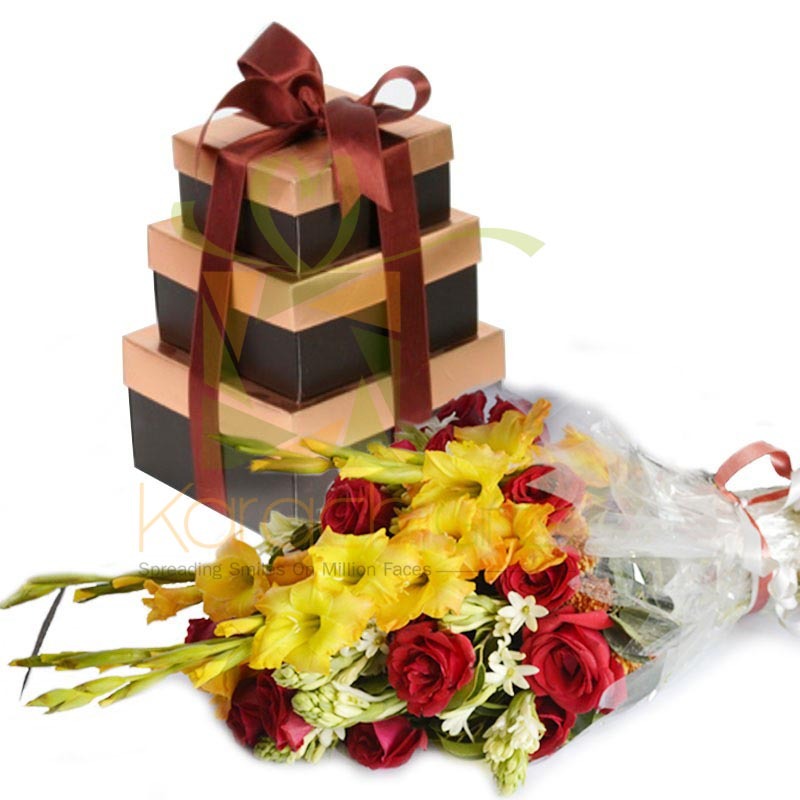 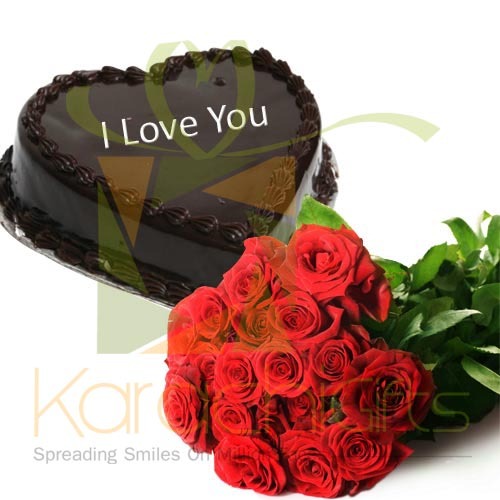 Karachi Gifts is just a deal of your feelings and emotions as a matter of fact. 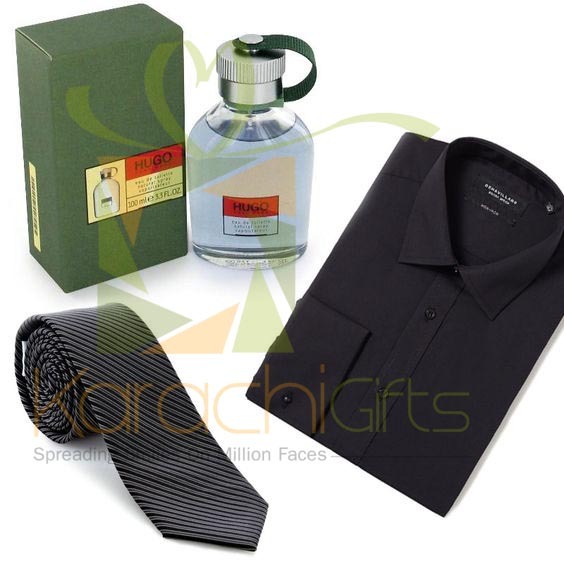 It is just a good deal of time that makes you all set to acquire for good reasons around. 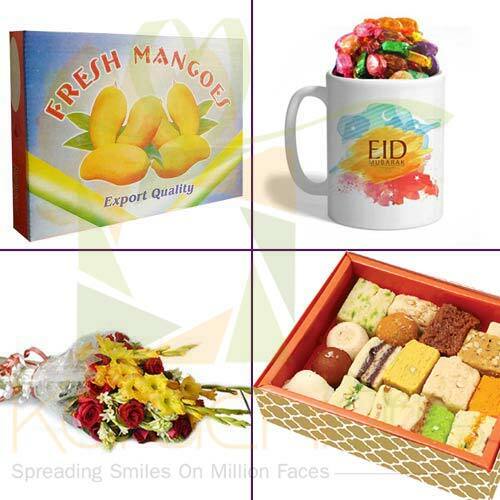 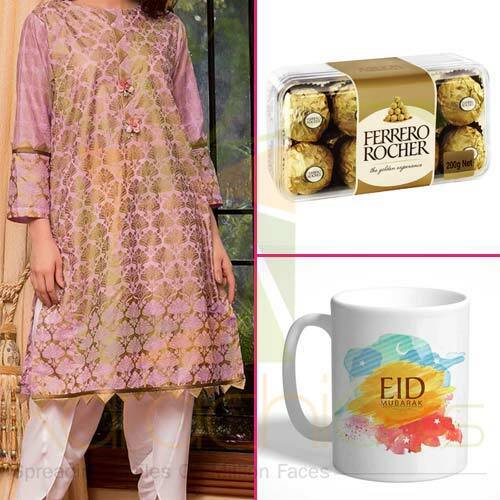 You can order for Eid Gifts delivery to your family, relatives and friends in Karachi. 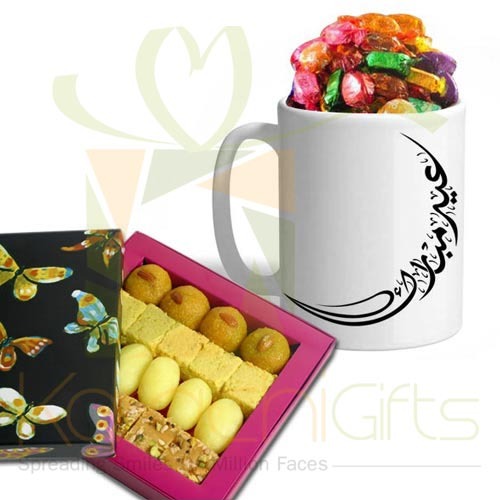 Eid Gifts are always special and if given by the people whom we love and expect from. 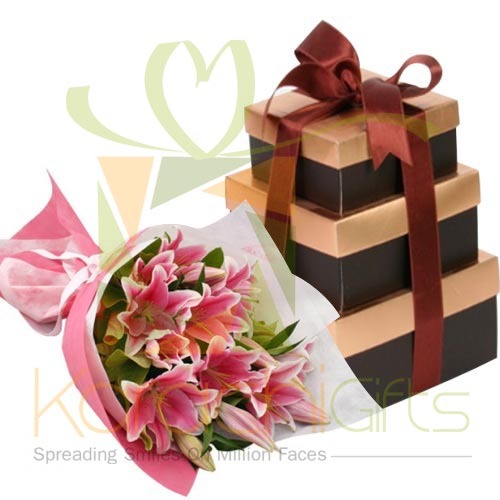 So, it is also a beautiful feeling to give away something as a token of love and your presence. 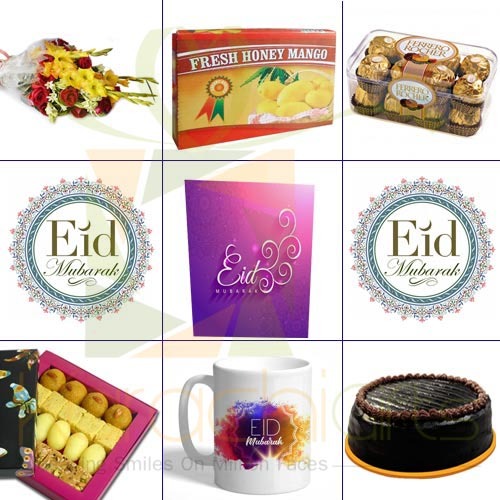 If you are away from Karachi but want to exhibit your love and concern for your parents, siblings, spouse and kids then select Eid Gifts with delivery service by Karachi Gifts. 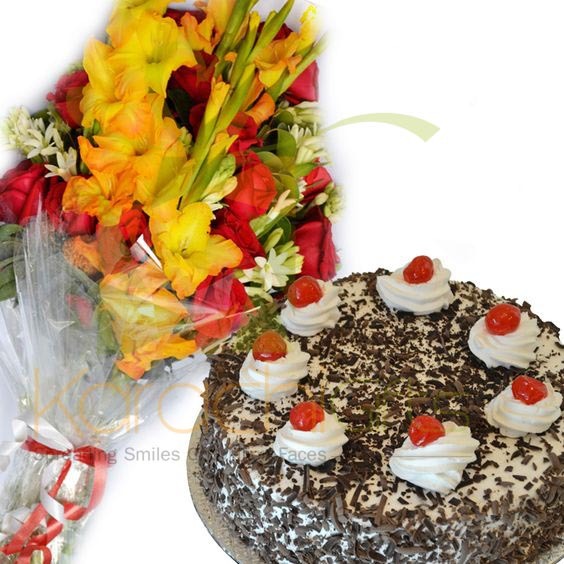 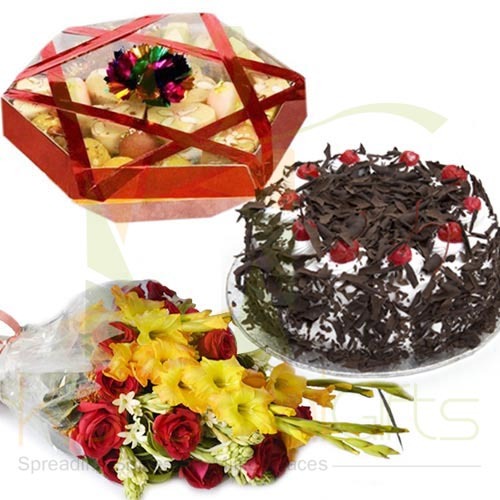 You can select a great and delicious Cake with Flower Punch for your loved ones at this occasion. 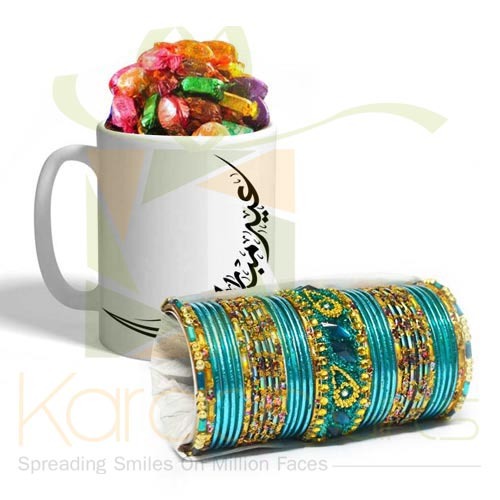 Karachi Gifts has a very delicate and refined collection of bangles that you can send as an Eid Gift to female members of your family. 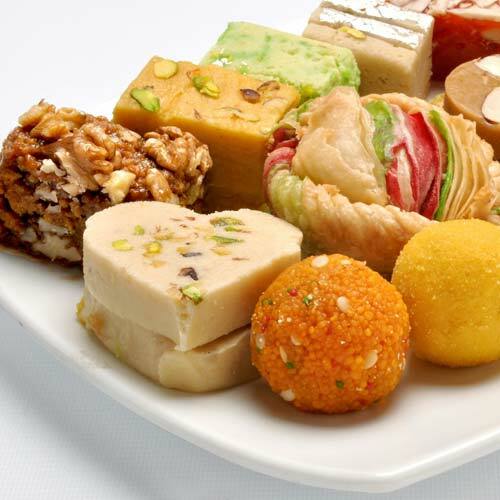 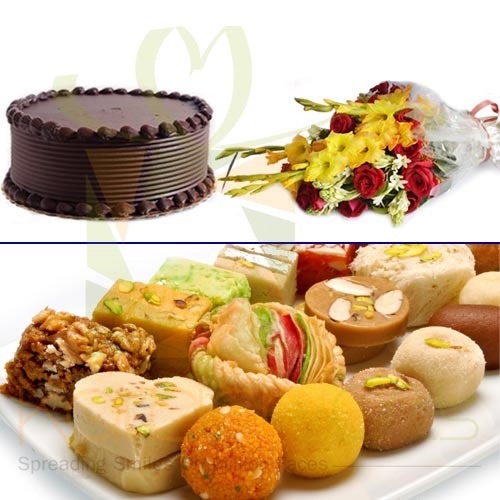 Here you can also order for Mix Mithai or the Sweet Ras Gullahs as an Eid Gift delivery to Karachi residents. 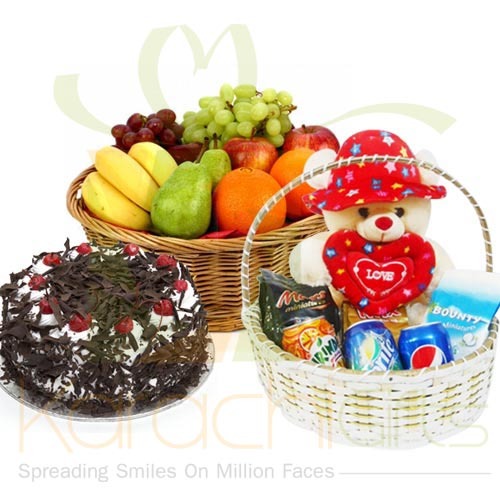 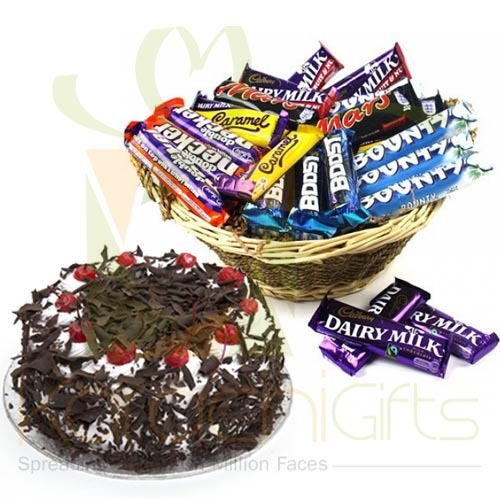 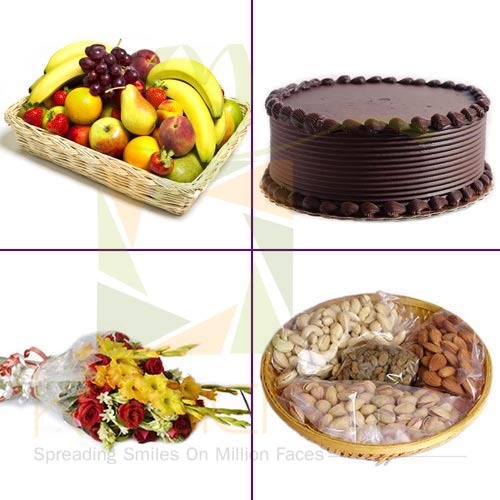 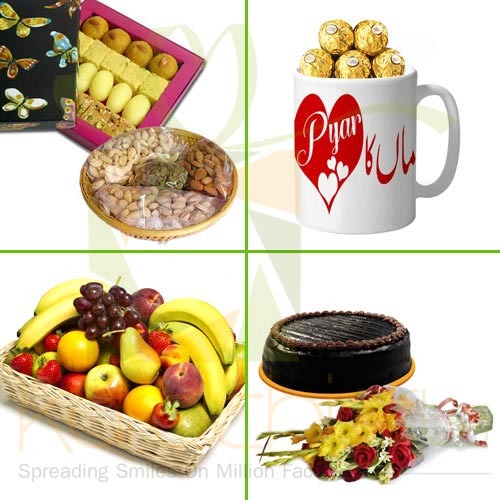 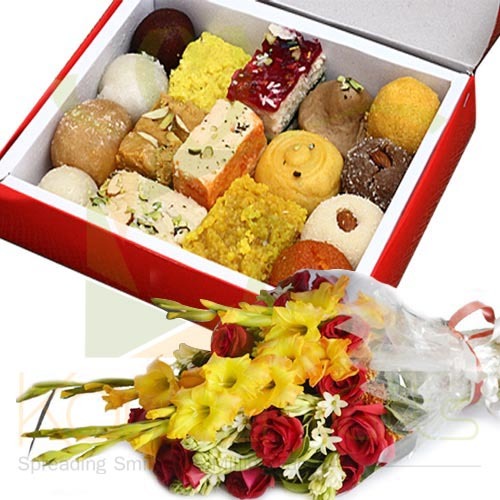 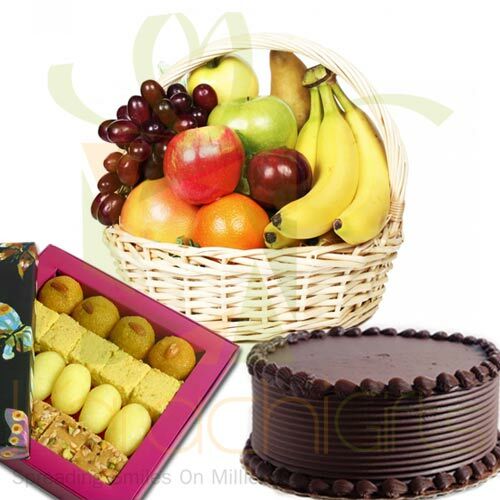 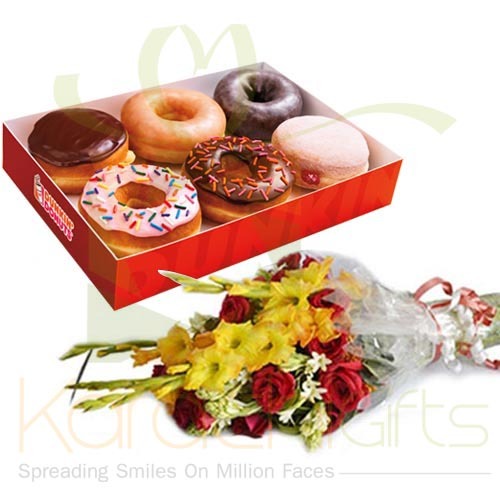 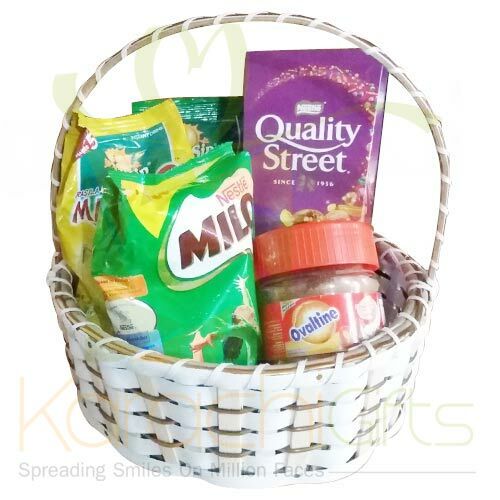 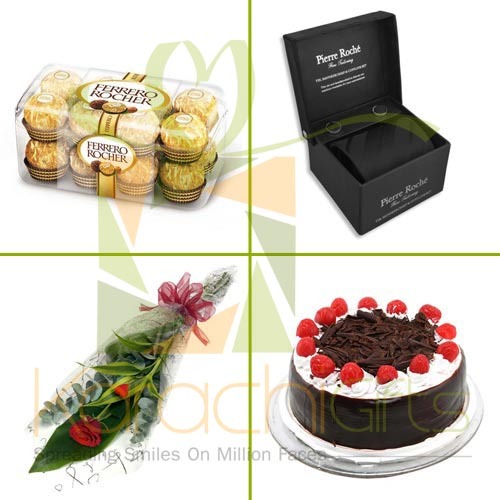 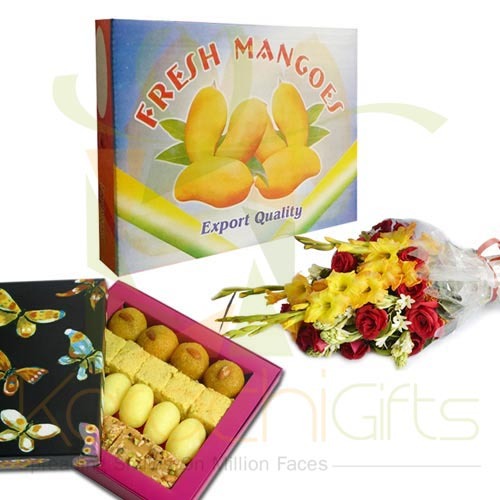 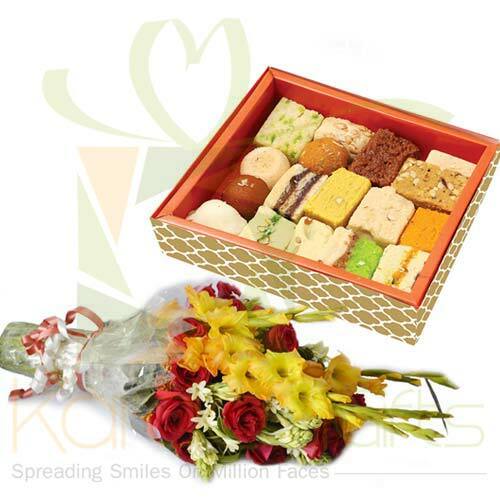 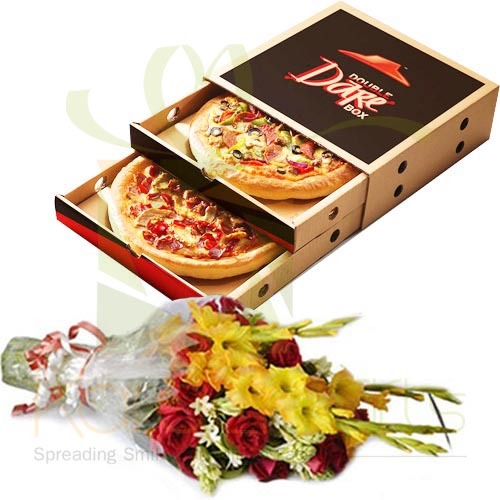 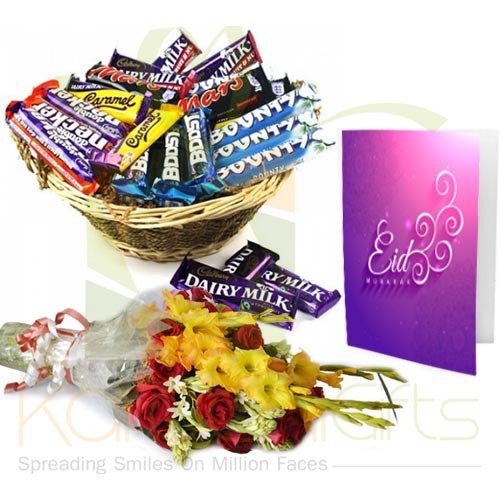 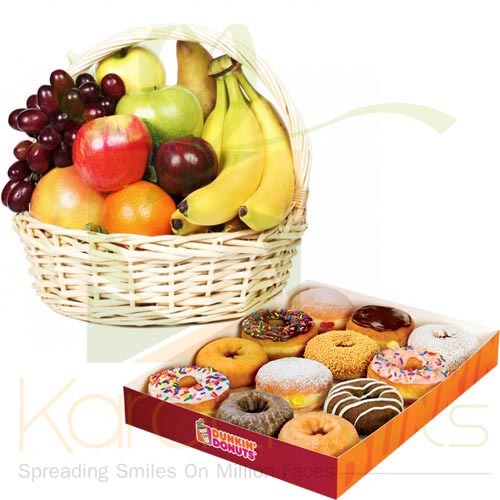 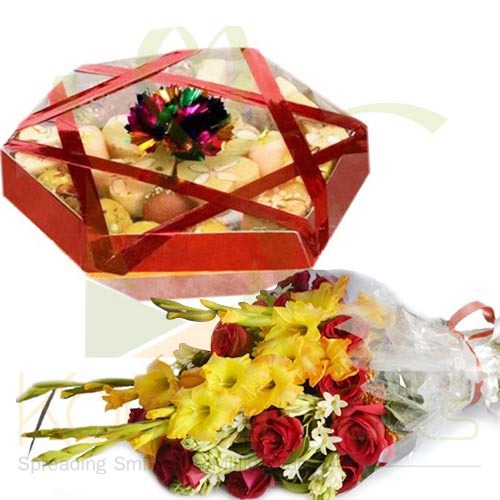 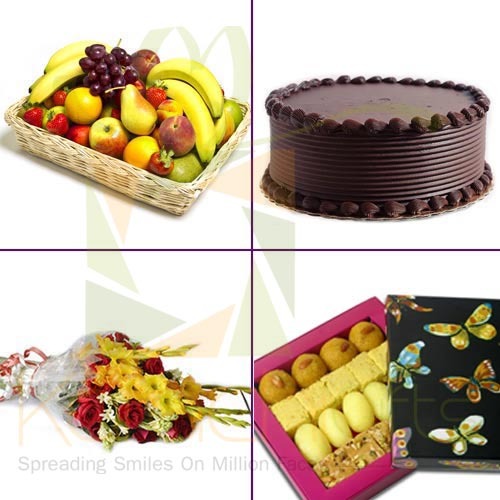 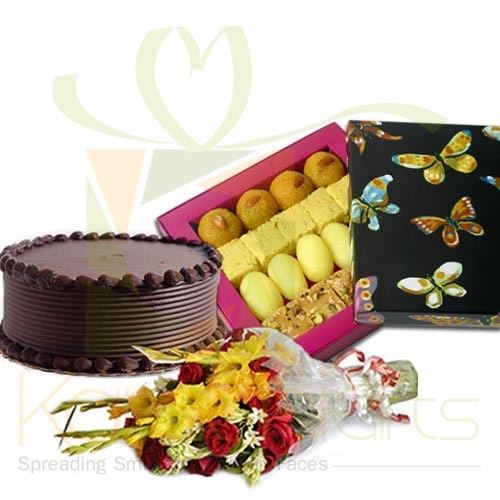 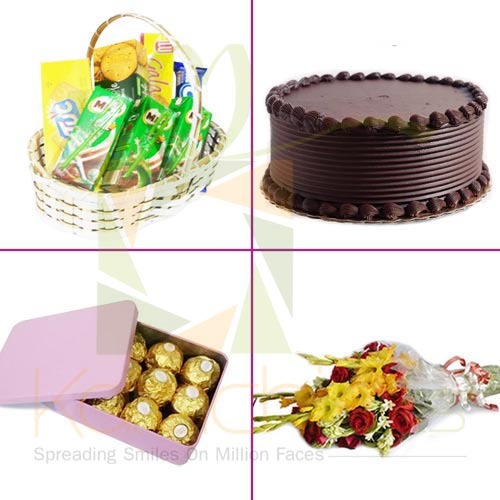 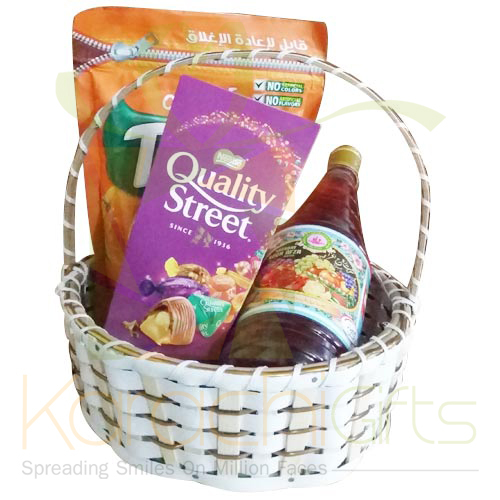 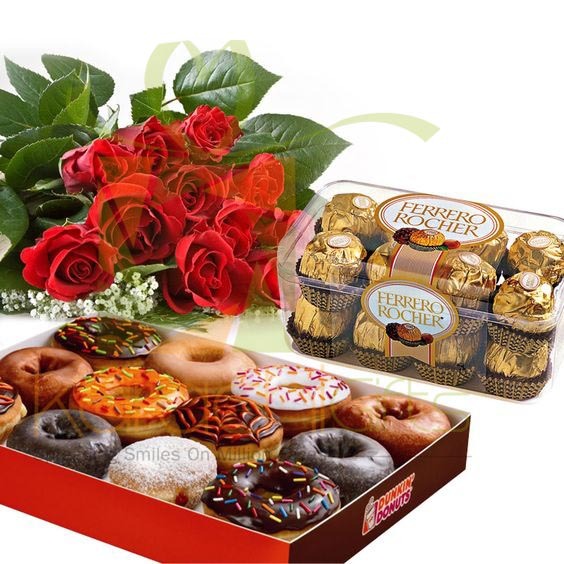 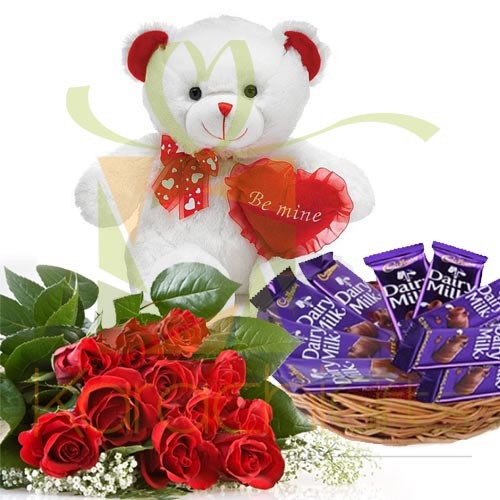 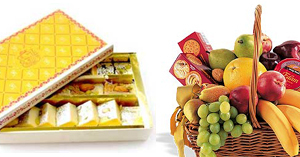 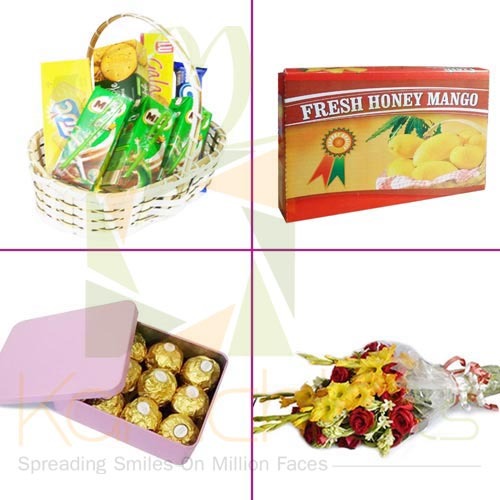 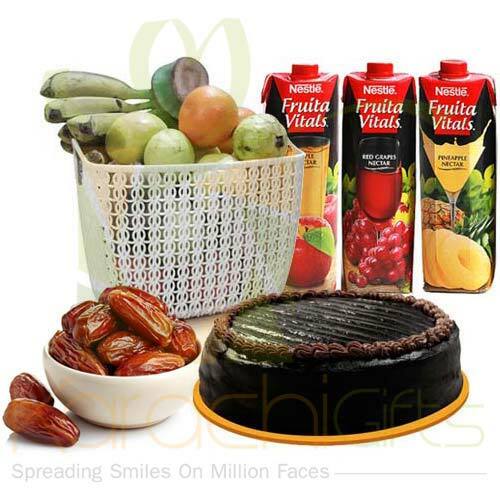 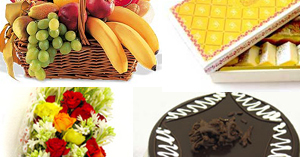 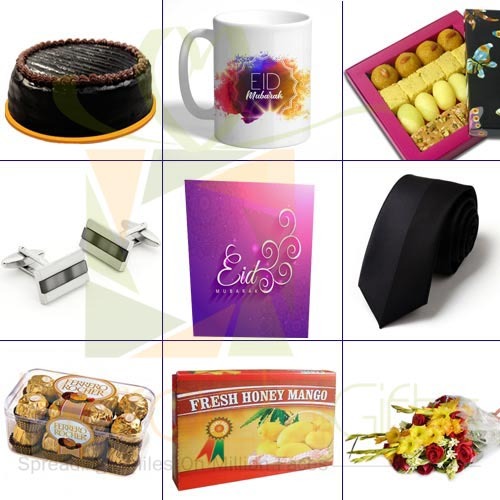 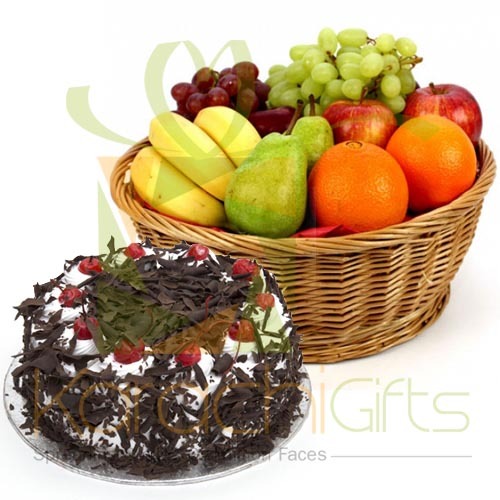 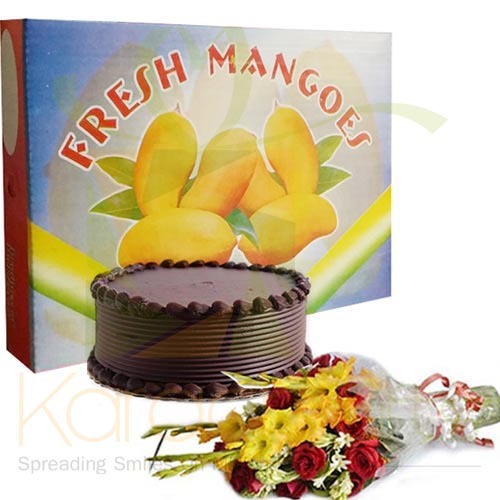 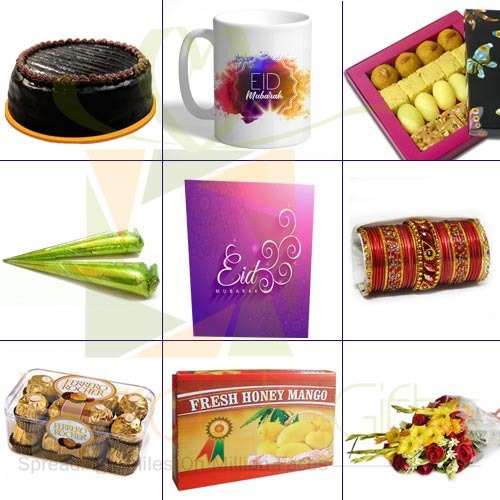 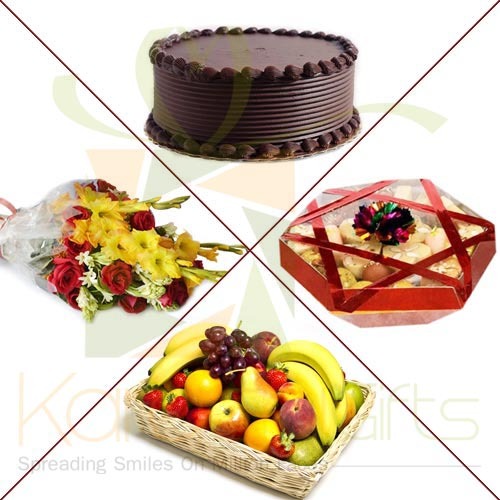 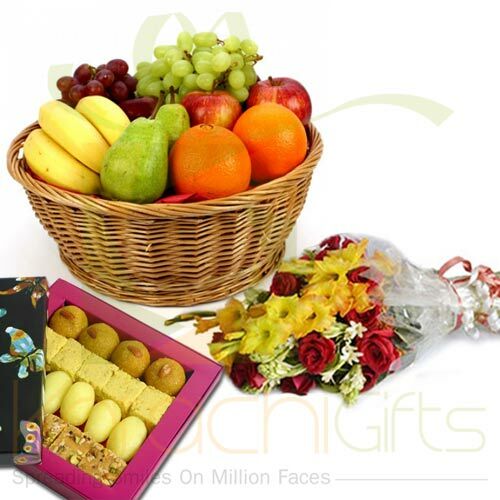 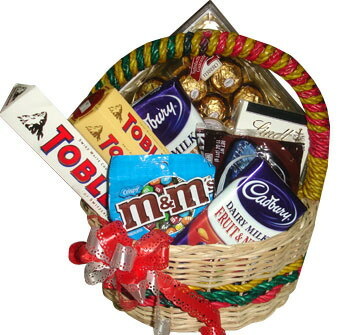 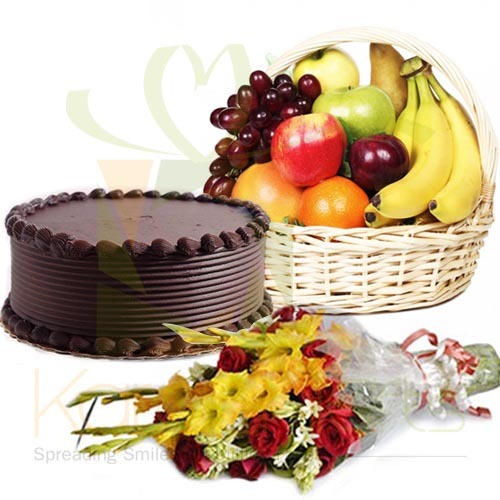 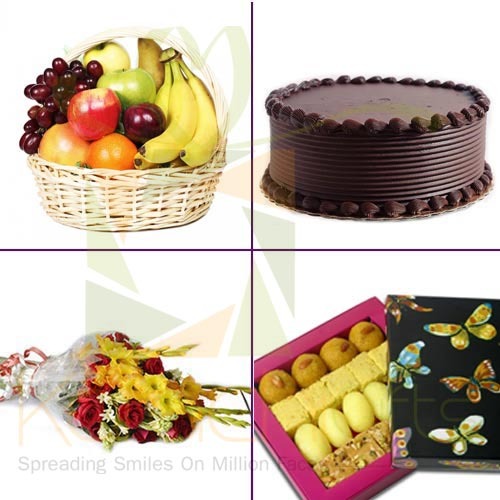 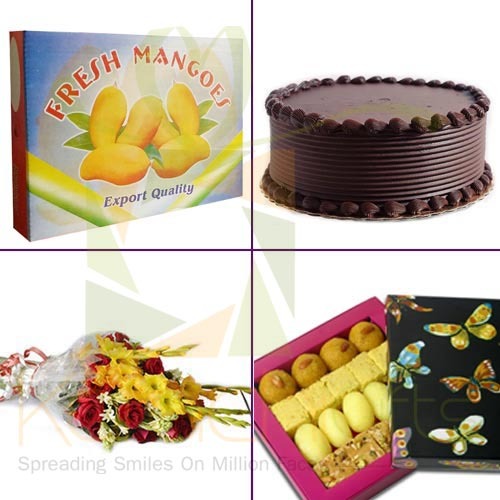 Even you can select a huge combo gift hamper that comprises of Cake, Mix Mithai, Flower Bouquet, Pizza Hut Item, Dunkin Donut Pack, Mug, Fruit Basket and Quality Street Cookies as a token of your true emotions as an Eid Gift. 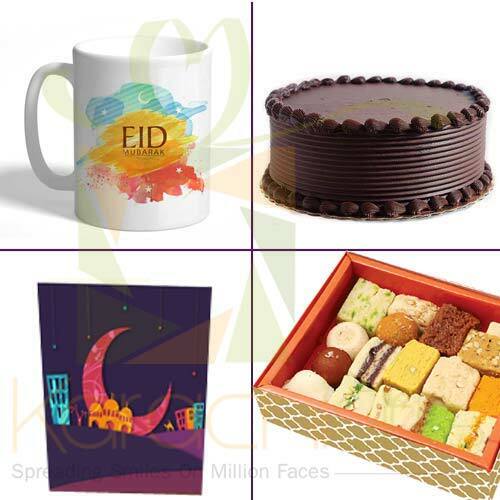 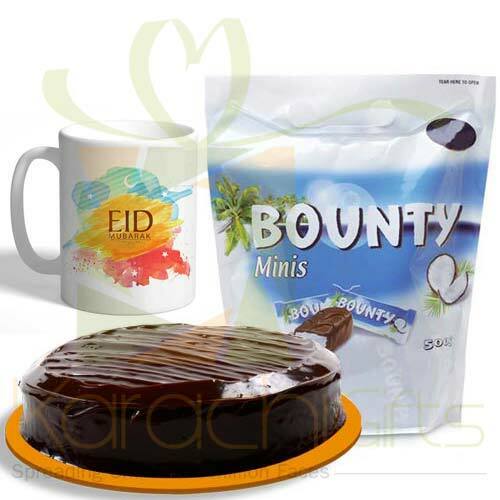 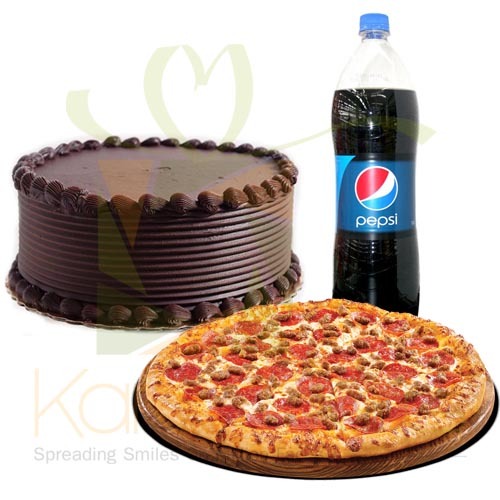 Karachi Gifts has a collection of many Eid Gift Combo Deals that have variations as addition of chocolates or other items of daily usage. 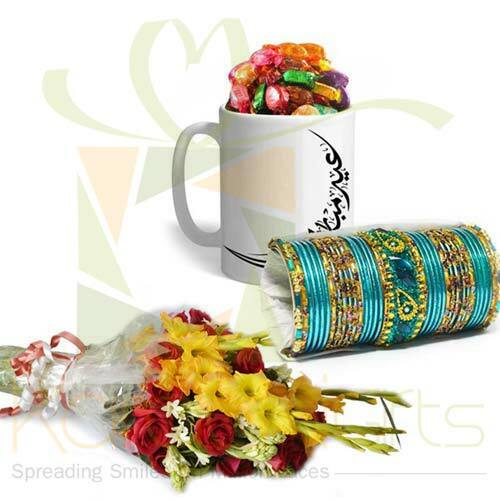 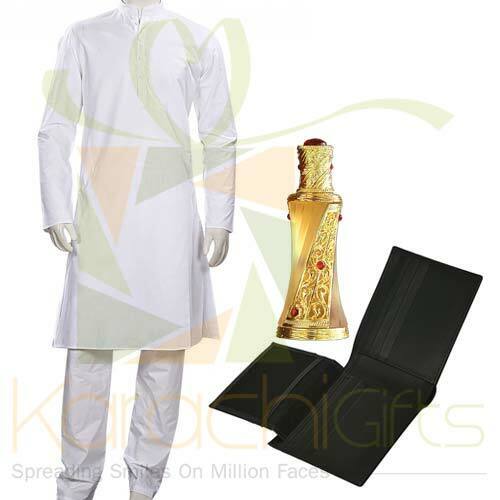 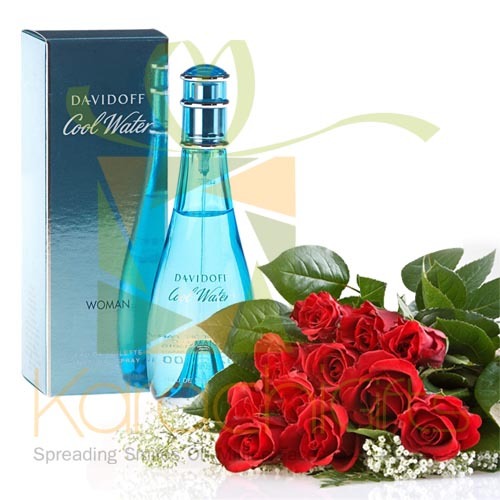 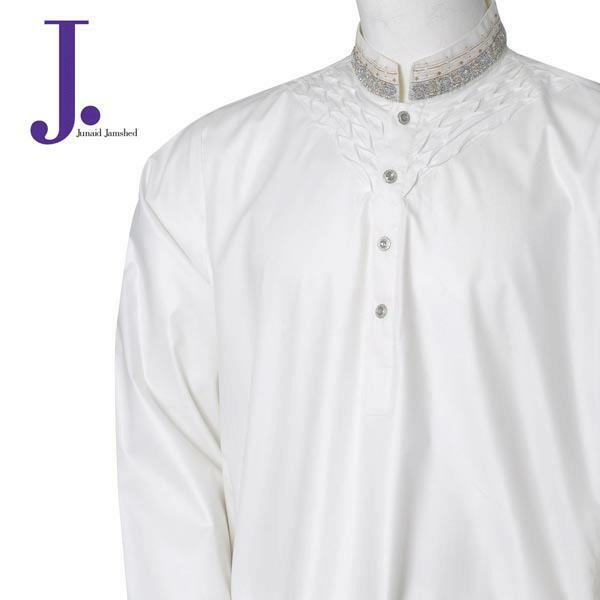 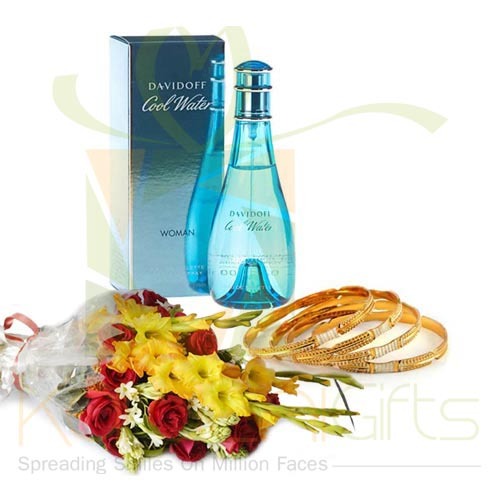 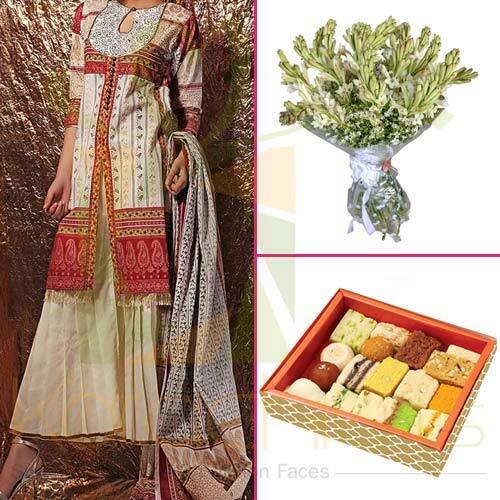 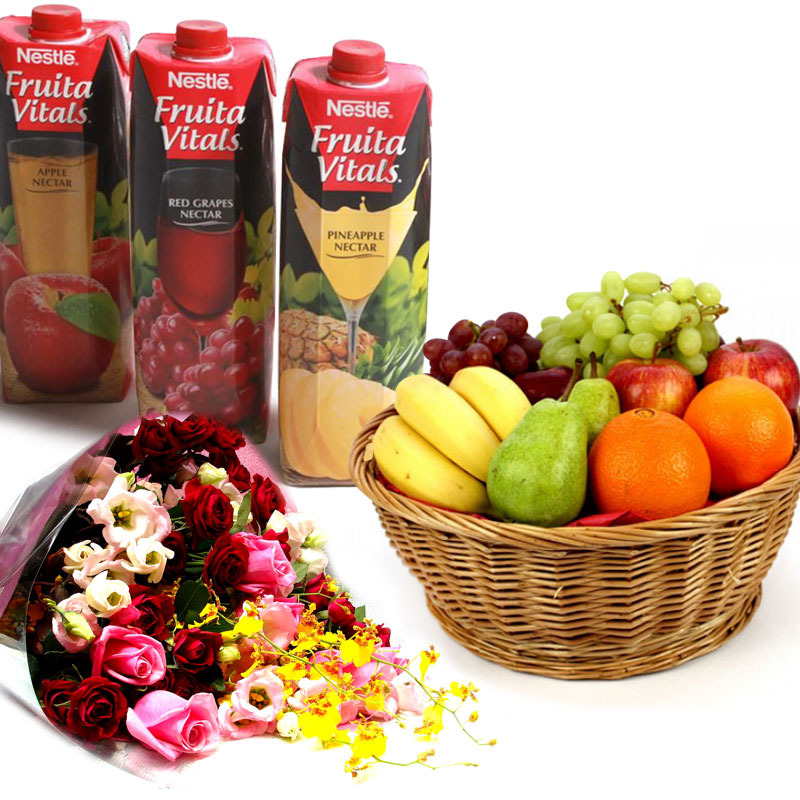 You can make a clear deal of great things with best for the Eid occasion. 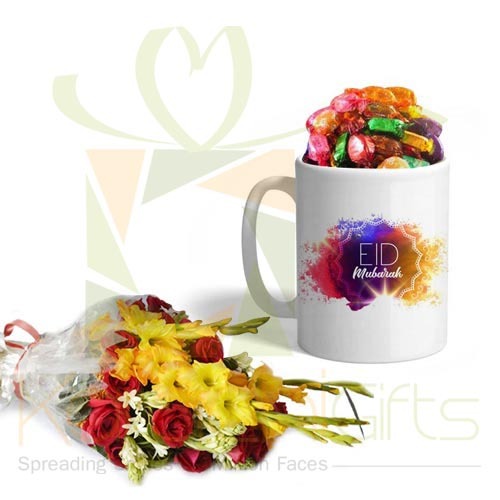 Here it is just a token of your love and indivisible presence with your loved ones as a special deal for sure reasons. 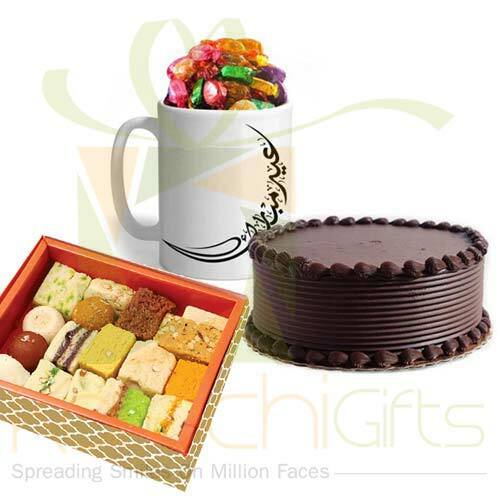 Karachi Gifts has a special edge of showing the best kinds of deals and the great looking devices in a way.